The world is kookoo for their nuggets, and in love with their apple pies, but did you know that McDonalds has a new treat on their menu? That’s right, ‘tis the season for delicious pumpkin pie (well, they’re actually turnovers). One bite and you’ll taste the “smooth, rich pumpkin filling baked in a tender and flaky pastry crust dusted in cinnamon sugar.” Yes, that’s exactly how McDonald’s describes their tasty treat. Though it’s been going on since earlier September, and the product isn’t new, fast food connoisseurs are now sinking their fangs in McDonald’s seasonal concoction, which is part of the company’s latest and limited “sweater weather sweetness” line up. 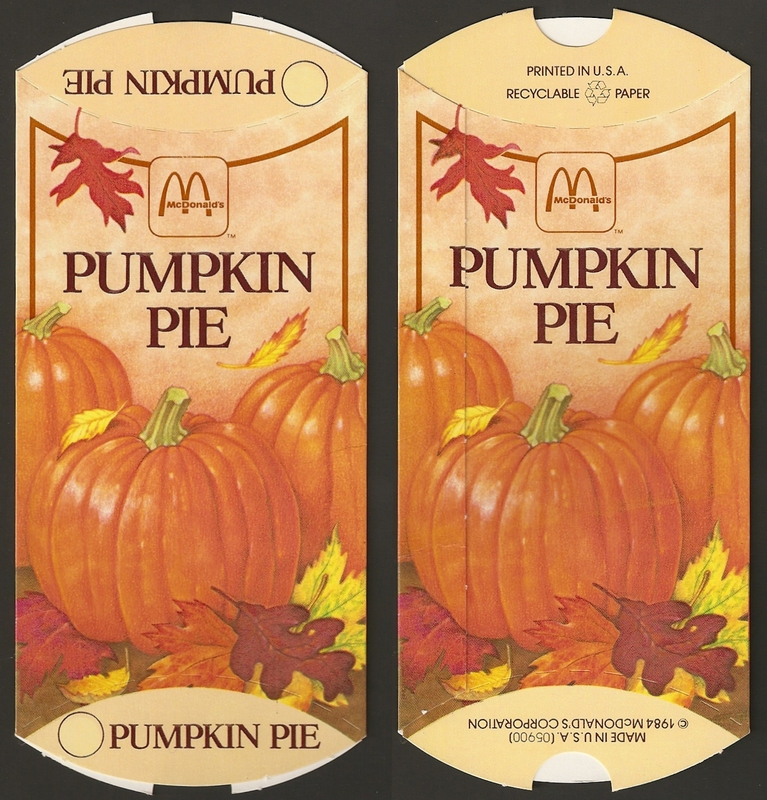 Charles Lam of OC Weekly typed, “If you’re getting one of these looking for a semi-competent pumpkin pie experience, you’re going to be disappointed.” Lam notes that while he does like McDonald’s apple pies, he believes the mushy pumpkin counterpart is no good. “It’s like the disastrous pumpkin spice M&Ms. Only you don’t expect something with most of the components of an actual pie (flour, shortening, some actual pumpkin) to just taste vaguely sweet and cinnamony,” said Laura Northup at Consumerist. Ingredients: Milk, Enriched Flour (Bleached Wheat Flour, Malted Barley Flour, Niacin, Ferrous Sulfate, Thiamine Mononitrate, Riboflavin, Folic Acid), Vegetable Shortening (Palm Oil, Soy Lecithin, Artificial Flavor, and Beta Carotene [Color]), Pumpkin, High Fructose Corn Syrup, Sugar, Brown Sugar, Modified Food Starch, Contains 2% or less of: Cinnamon Sugar Topping (Sugar, Cinnamon), Yeast, Salt, Spices, Dextrose, Cellulose, Potassium Sorbate (Preservative), Cream of Tartar, Natural and Artificial Flavors (Plant Source), Annatto & Turmeric (Color), Hydroxylated Soy Lecithin, Enzyme, L-Cysteine (Dough Conditioner). 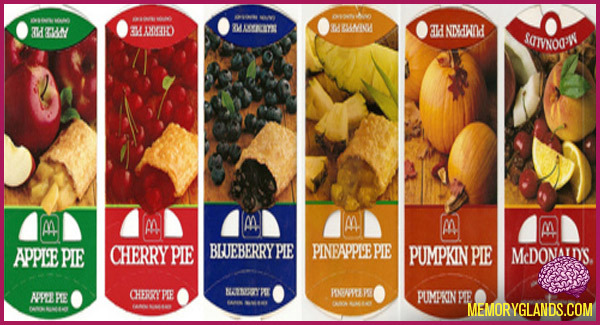 A McDonald’s in Hawaii has taro, haupia, and banana pies. In Mexico and Guatemala, McDonald’s has cheese pies all year round. Japan? They have a bacon potato pie.